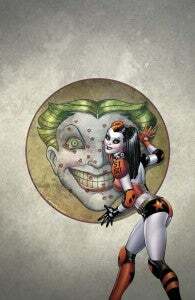 As part of the run-up to San Diego Comic Con International, DC Comics announced today that fan-favorite creators Jimmy Palmiotti and Amanda Conner will reunite for Harley Quinn, their latest project for the publisher. 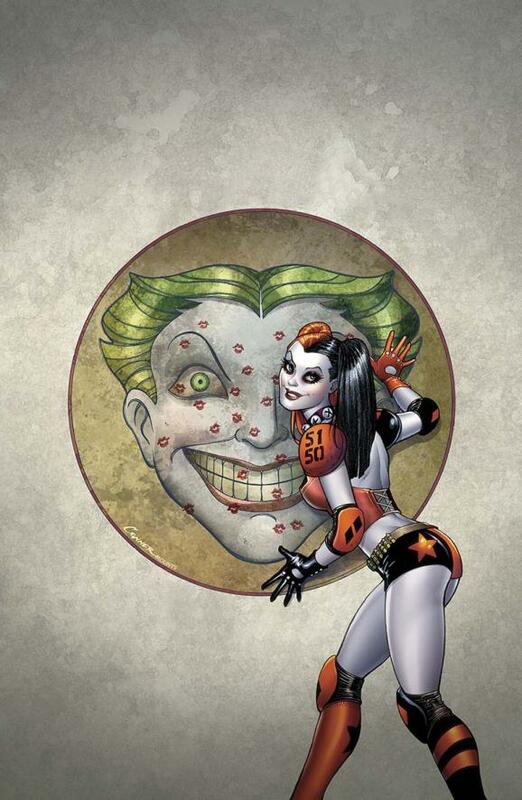 Presumably spinning out of the events of Forever Evil, Joker's #1 girl and the former Suicide Squad member will get her own ongoing monthly for the first time under the guiding hand of the two veteran talents. "When we were offered the book, it wasn't something we said yes to right away," Palmiotti told CBR. "We needed to do a lot of reading and playing catch up on what the character has been up to since we knew the other version so well. Amanda and I spent a lot of time talking about approach, if we can find a real voice for the character , and what the series would be about before we sent in our pitch. On the surface, this is a no brainer with the two of us writing, but like anything else we do together, we needed to really dig in and find the who , what and where of the new Harley. Harley Quinn as a character was created in Batman: The Animated Series, which celebrates its twenty-first birthday at San Diego Comic Con International this week. "It was a little daunting, at first," admitted Conner. "She is a totally beloved character, and you have to show that some respect, all while bringing her into a whole new atmosphere. We have to make her world very believable. We want to make her almost like she's someone you've met before." Palmiotti, who co-writes Batwing and All-Star Western with Justin Gray, also works extensively on creator-owned work, much of which Conner will contribute covers or pin-up art for. She served in a similar capacity on Phantom Lady, which Palmiotti and Gray did with artist Cat Staggs. He was also one of the first creators announced as part of Amazon's new comics initiative. Conner's last monthly work was as the artist on Darwyn Cooke's Before Watchmen: Silk Spectre miniseries, which she discussed with ComicBook.com as she wrapped up the project late last year. Hardcover collections of the Before Watchmen books are on the stands now.